By now, the new motto of the Chinese government, One Belt One Road (OBOR), is known all over the world. Not only the national government, but also local governments in China, enterprises, and universities are rephrasing their goals and strategies in terms of OBOR. The Chinese food industry cannot escape this trend either, witness a conference held in October, 2018. I have already posted a number of stories featuring wheat flour in this blog, including texts focusing on flour improvers, bread, and steamed bread (mantou). This is certainly not overkill. China has been the world’s largest importer of wheat for a number of years. The import volume in the 2015-16 season is estimated at 2 mln mt, an increase of almost a third compared to the previous season. An important reason for that increase is the growing consumption of bread in China. Chinese domestic wheat is relatively low in gluten, which is fine for traditional Chinese products like steamed bread, dumplings or noodles. Bread, however, requires wheat with a higher gluten content. China used to import such wheat from Australia, the USA and Canada, but an emerging source of high gluten wheat for China is Kazakhstan. Chinese wheat imports from Kazakhstan increased from 40,000 mt in 2010 to 250,000 mt in 2014. The fact that China and Kazakhstan are neighbours makes them more obvious trading partners than those faraway Western nations. However, the story is more complicated, more related products are involved, in particular another essential ingredient of bread: yeast. The favourite staple of Central Asia, the nan, is also a baked product using yeast. Yeast feeds on molasses and Xinjiang, the Chinese border region with Kazakhstan, is an important sugar region in China with 14 sugar plants producing 250,000 mt of molasses p.a. Along the region’s Uighur majority, Xinjiang is also the home of a considerable Kazakh minority. Moreover, Kazakhs and Uighurs share the same Muslim religion, so there is a mutual understanding regarding Halal food regulations. This motivated China’s top yeast producer Angel (Yichang, Hubei) to establish a subsidiary in Yining, a city in Xinjiang close the border with Kazakhstan. A considerable part of the produce of that plant is exported to Kazakhstan. According to one source, ‘Chinese yeast is a famous in Kazakhstan as Coca Cola or Marlborough’. Meanwhile, China has started investing in the continuous supply of high gluten wheat from Kazakhstan through an intensive aid program. The country’s wheat output in 2011 was 26.9 mln mt, but was almost halved in the following year, due to severe drought. The average wheat output per hectare in Kazakhstan is about 1/5 of that in China. The Chinese authorities have organized a number of government agencies and companies to combine their expertise in helping Kazakhs to improve their wheat production. One tractor maker in Shandong has developed tractors specially geared to the conditions in Kazakhstan. Chinese experts believe that this development aid can unlock the potential of another 20 mln mt of high gluten wheat p.a. And yes, much of that will find its way to China. The Aiju Grain and Oil Industry Group (Xi’an, Shaanxi) imports cooking oil, wheat and flour from Kazakhstan. Aiju’s Chairman noted during his visit of a trade fair in Almaty in 2015 that a considerable acreage of rich arable land is left unused in Kazakhstan. Aiju is now building two factories in the region, which will process up to 1000 mt of wheat and 1000 mt of sunflower oil a day, as well as a base to plant wheat and sunflower seeds over 33 hectares. The base will be finished by 2020 and create 300 jobs. Aiju intends to bring high-efficiency planting and processing technologies to Kazakhstan, which will help with local economic development. The company also plans to start importing beef, mutton, honey and milk from Central Asia too. This includes other countries besides Kazakhstan. Bai Qinbin, deputy director of port management for the Xi’an International Trade and Logistics Park, said the city’s large transportation network can help boost trade and investment between China and countries involved in the Belt and Road Initiative. “We are working on starting a service between Xi’an to Teheran this year, as the Middle East is in great need of Chinese goods, especially food and commodities for daily use.” Xi’an is one of the most important multimodal infrastructure hubs in China. 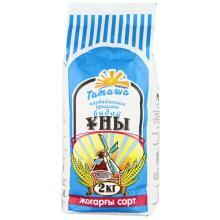 The role of Xinjiang in the development of Kazakhstan’s food industry does not stop at wheat and yeast. Xinjiang is already the world’s largest supplier of tomato paste. One of these companies has invested in a tomato processing plant in Almaty. Chinese companies have so far offered to invest USD 1.9 bn to upgrade Kazakh food processing industry with 19 projects such as tomato, chicken and meat processing plants. According to Gulmira Isayeva, Kazakhstan’s deputy agriculture minister, Beijing’s USD 40 bn Silk Road Fund is planning investments in three projects, including one to move three tomato processing plants from China to Kazakhstan. Investments under consideration in Kazakhstan’s agriculture sector include USD 1.2 bn by Zhongfu Investment Group into oilseed processing; USD 200 mln into beef, lamb and horsemeat production by Rifa Investment; and USD 80 mln into the production of tomatoes and tomato paste by COFCO, China’s state agriculture conglomerate. Yili (Huhhot, Inner Mongolia; aka China’s Dairy Capital) has broken into the ranks of the world’s top 10 dairy makers in 2016, ranking 8th. The company is advertising its global strategy in terms of OBOR. So OBOR really can create win-win situations. 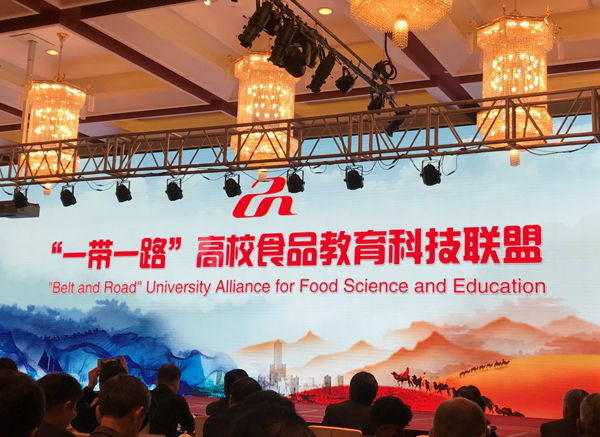 A founding ceremony of the “Belt and Road” University Alliance for Food Science and Education was held by Jiangnan University in Wuxi, East China’s Jiangsu province on Nov 16, 2018. Hong Liu, deputy director of the Jiangsu Provincial Department of Education, Liu Xia, deputy mayor of Wuxi, as well as presidents, experts and scholars from 49 universities in 27 countries involved in the Belt and Road Initiative (BRI) attended the ceremony (including the University of California, Davis (UC Davis), the University of Queensland, the University of Reading, Massey University and the National University of Singapore). During the ceremony, general secretary of the alliance, Liu Yuanfa announced the Taihu Lake Declaration, aiming to pool together the wisdom and strengths of the member universities to strengthen strategic communication and coordination in the food industry. It’s getting time to highlight another important food region of China in this blog. This time I am introducing Yantai in Shandong. Shandong province is often referred to as China’s fruit and vegetable garden and Yantai, a coastal city in Shandong, is committed to building a brand for itself as “China’s food city”. Geographically, Yantai is situated close to the Liaodong peninsula of Liaoning province, another important food production region, with a quick ferry service with Dalian, a major industrial and port city on that peninsula. According to Zhang Yongxia, mayor of Yantai, “We are working to boost the city’s food sector by promoting food diversity and security, aiming to develop the city into a heavyweight in both China and the overseas food market”. The food sector has always been one of Yantai’s competitive industries. The China Food Industry Association recognised Yantai as a well-known Chinese food city in 2009. Statistics from the local government show that in 2017 revenue generated from the city’s food industry hit RMB 194.87 billion, an increase of 11.9% from the previous year. This figure was 13.8% of the total industrial turnover of the region and 11.9% of the turnover of the provincial food industry. There are more than 500 major enterprises doing business in the city’s food industry. These include Changyu Pioneer Wine Co., cooking oil producer Shandong Luhua Co., Shandong Longda Meat Foodstuff Co., and Shandong Oriental Ocean Sci-tech Co.; the company annually produces 1,500,000 mt of edible oil in 33 factories around the nation, benefiting more than 10 mln peanut farmers. Yantai has a competitive edge in 16 food sectors including fruit and vegetables, oil, meat, aquatic products, rice noodles (fensi), cake, candy, instant foods, dairy products and condiments. A noteworthy product is the cherry. 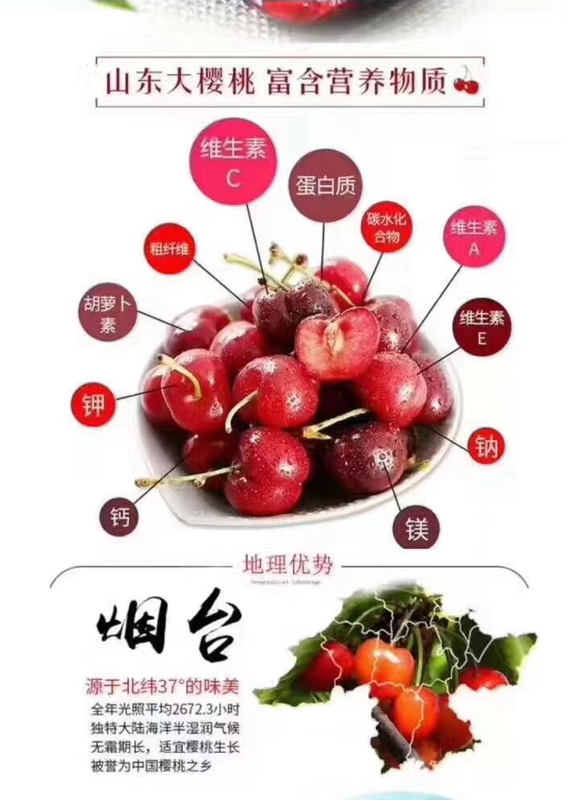 The cherries from Yantai are the best in China. The following illustration is a promotional picture indicating the nutrients in cherries. The city has 27 nationally famous trademarks and 96 leading provincial trademarks in the food sector. Three brands – Changyu, Luhua and Longda – were named among China’s top 500 most valuable brands in 2014. Food products made in Yantai are exported to more than 80 countries and regions including Russia, the United States and South Korea. According to the city’s plans, revenue generated from the food industry will reach RMB 300 billion by the end of 2017. Yantai’s industrial sector generated more revenue and profits in the first half of 2017 than that of any other city in Shandong province, according to data from Yantai’s municipal commission of economy and information technology. The city’s total industrial revenues reached RMB 931 billion in the first half of 2017, leading to total profits of RMB 66 billion, the statistics state. With its favorable climate conditions and geographical location, Yantai has become one of China’s most important fruit planting, processing and exporting bases”. The city is known as China’s hometown of fruit. Fruits produced in Yantai, such as apples, cherries, pears and grapes, are known far and wide. Yantai apples, which were given geographic indication status by the State Quality Supervision and Inspection and Quarantine Administration in 2002, have become one of the things the city is renowned for. An important centre for apple growing is Qixia, a town Southeast of Yantai. With a cultivating history of more than 140 years, Yantai has 181,333 hectares of apple orchards, with an annual output of 4.23 mln mt, according to statistics from the Yantai Agriculture Bureau. The city has more than 200 varieties of apples. The brand Yantai Apple has a value of RMB 10.59 billion, the leading amount in China’s fruit industry for seven consecutive years. With a bright color and sweet taste, Yantai apples are exported to more than 60 countries and regions with an annual export volume of 600,000 mt, accounting for one-fourth of the country’s total apple exports. 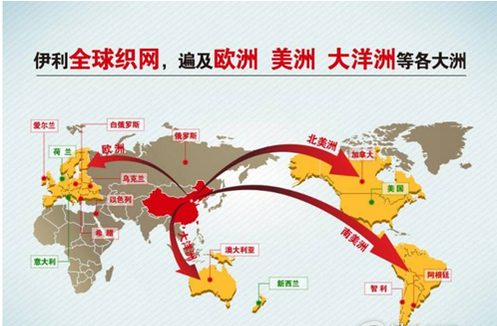 Twenty-one tons of Yantai apples were shipped from Yantai to the United States again on Nov 9, 2015. It was the first time for Yantai apples to enter the US market. As a country with strict inspection and quarantine measures, the US had previously forbidden apple imports from China for 17 years. “As the price in the US is twice the price in Asian countries, expanding to the US market will surely promote the apple industry in Yantai and increase locals’ income,” said Bai Guoqiang, head of Yantai Agriculture Bureau. Cherries are another well-known fruit from Yantai, where cherry trees have grown for 130 years. More than 25,000 hectares of cherry trees produce about 190,000 mt of the fruit a year. The cherries are exported to more than 60 countries and regions, including South Korea, Germany and the US. With such a variety of fruits, it is not a surprise that Yantai and the surrounding regions are a centre of fruit juice production in China. One of the country’s leading producers of apple juice concentrate, Andre, is located in Mouping, just East of Yantai. North Andre Juice Co. Ltd. was established in 1996. The company’s products include: juice concentrate, pureed and preserved fruit, fruit essences, and pectin. Since its establishment, the company has invested more than 3 billion RMB and set up 9 modern juice concentrate production bases in Shandong, Shaanxi, Jiangsu, Liaoning and Shanxi. Andre operates a total of 14 juice concentrate processing lines, 2 pectin production lines, 1 puree processing line and 1 dried fruit production line. The designed annual fruit processing products is more than 2 mln mt, and the annual juice concentrate production 340,000 mt, the annual pectin production 4000 mt and the annual puree production 10000 mt. In April 2003, Andre Juice Company went public on the Hong Kong Stock Exchange, becoming the first listed company in juice concentrate industry in China. At almost the same latitude as Bordeaux in France, Yantai is also considered one of the world’s top seven coastal grape-growing areas. It was named the only “international grape and wine city” in Asia by the International Office of Vine and Wine in 1987. The city now has more than 18,000 hectares of vineyards, 11,000 hectares of which provide grapes for winemaking. It is home to more than 20 international wine businesses and a large number of domestic vintners, including the brands Changyu, Great Wall (owned by the COFCO Group) and Dynasty. Chateau Lafite Rothschild selected Penglai, a county-level city of Yantai, to develop its first vineyard and chateau in China. Penglai established a sister relationship with Australia’s Barossa, one of the world’s finest wine producing regions, on March 25. Changyu Wine Co. is China’s oldest and largest winery. The company was founded in 1892 by Zhang Bishi. The company’s name is formed from his surname Zhang (Chang) and the Chinese character meaning prosperity. In 2002, the company entered into cooperation with Castel group in France to establish the first professional chateau in China. In 2006, the company cooperated with a Canadian company to build the largest ice wine chateau in the world near Huanlong Lake of Liaoning province. It has also expanded overseas, building Chateau Changyu Kely in New Zealand. Changyu Pioneer Wine Company is now among the ten largest wine companies in the world, producing more than 900,000 hls of wine p.a. Changyu is constructing a Wine City, with help from the Italian wine company Illva Saronno Holding Spa. It will include a European style chateau and a Wine Research Institute. The facility has been referred to as a Disney World for Wine in a Bloomberg report. To further boost its food industry, Yantai holds a series of international food trade fairs and trade fairs every year. During the 16th Fruit, Vegetable and Food Fair held in the city last month, thousands of participants from more than 10 countries and regions including Japan, South Korea and Italy came to Yantai in search of business opportunities. The four-day event attracted organizations and companies from home and abroad to display fruits, vegetables, seedlings, food processing equipment and agricultural machinery at nearly 900 booths. Six overseas organizations and delegations including the Japan Consul General in Qingdao participated in the fair and brought their latest developments in fruit and vegetable production and related equipment manufacturing. Some high-tech products at the expo were particularly interesting, including irrigation equipment from Israel, Italy’s agriculture testing machines, apple-planting technology from Japan and unmanned plant protection helicopters from Shandong. Held in Yantai every year since 1999, the event has become one of China’s most influential expos in the fruit, vegetable and food industry. It provides a sound exchange and cooperation platform for Chinese and foreign companies in the sector. The fair’s organizers said that the event has attracted more than 1.7 million delegates from across the world during the past 15 years. This year’s event alone attracted 58,000 visitors and the trade volume hit RMB 230 million. The 12th East Asia International Food Trade Fair was held in Yantai June 2 – 5, 2017. resulted in the signing of cooperation agreements worth RMB 1.60 billion. With the theme of “Green, Innovation, Cooperation and Development” attracted more than 900 enterprises from home and abroad. They brought more than 13,000 food products covering 16 categories, from imported food to time-honored Chinese products. The fair was also regarded as lucrative by enterprises from other Chinese regions. More than 100 food enterprises from Sichuan brought their products to the fair, including local liquors, pigs, tea, pickles, condiments and snacks. Exhibitors from Jilin also made appearances as a group, presenting, among other products, ginseng, forest frog’s oviducts and pilose antler, known as the “three treasures in Northeast China”. Enterprises in Harbin offered Qing’an rice, time-honoured Harbin sausages and other specialties. Co-organised to the food fair, Yantai also hosted a trade fair for Jiangxi specialties and an expo of imported maternal and child products. The Scottish Chambers of Commerce opened an international trade office in Yantai, a Chinese port city in Shandong province May 16, 2017. The formal opening ceremony was hosted by Zhang Bo, vice-mayor of the city, together with senior officials from Yantai municipal government. The Scottish delegation was led by SCC’s new president, Tim Allan, and chief executive Liz Cameron. The Scottish Chambers of Commerce identified robotics, bioscience, manufacturing, engineering and smart technologies, agriculture, food and drink and soccer management as being areas of key interest. The University of Groningen, The Netherlands, in collaboration with China Agricultural University, plans to establish a presence on a campus in the city of Yantai. In Yantai the university plans to offer Bachelor’s, Master’s and PhD programmes that incorporate significant research activities and collaboration with the business sector. TheYantai campus is located in the middle of a high-tech zone covering 38 km². It is the home of many high-end industries, companies and research institutes, providing good opportunities for top sector jobs and cooperation in the area of research. In addition, as one of China’s greenest cities. Yantai is situated in the province of Shandong, whose 97 million inhabitants offer great potential in attracting future students. However, the Board of Groningen University ran into trouble early 2018, when a majority in the University Council voted against the project. The Board is now trying to reformulate the cooperation. Yantai will see rapid development in its medical and health industry as authorities are mulling over building an international bioscience innovation demonstration zone. Based on the rapid development of its medical industry, the zone will consist of seven industrial parks including biomedicine industrial park, traditional Chinese medicine and precision healthcare industrial park, which will be built during the 13th Five Year Plan (2016-20) period, according to Li Wei, head of Yantai Food and Drug Administration. By the end of 2020, the projected prime operating revenues of Yantai’s medical and health industry will exceed RMB 100 bln, achieving year-on-year growth of 15%. Yantai is home to many key national laboratories and boasts high innovation capabilities and potential. Yantai will introduce supportive policies to encourage research and development, and attract and nurture leading enterprises and high-caliber talents in sectors such as medicine and medical equipment. Yantai has set up a special fund of RMB 200 mln to build platforms providing technological support. To boost the profile and competitiveness of Yantai’s medical industry, Yantai will host the first international conference on medical innovation and development from Sept 16 to 17, 2017. Three Yantai-based food brands made their way onto the dining tables of the 9th BRICS Summit, which was held in Xiamen, Fujian province on Sept 3-5, 2017. Leaders from Brazil, Russia, India, China and South Africa were served up apples, condiments and Longkou fensi (a kind of vermicelli made from bean starch) from Yantai during the summit. Fruit supplier Yantai Lianlei Foods was given the green light to provide its apples for the summit in April. Lianlei apples first went on sale in Xiamen six years ago, and they have become hugely popular in the coastal city, their sales volume rising from just a few tons to more than 1000 mt. The company’s apples are also exported to Japan and several countries in Europe and America. 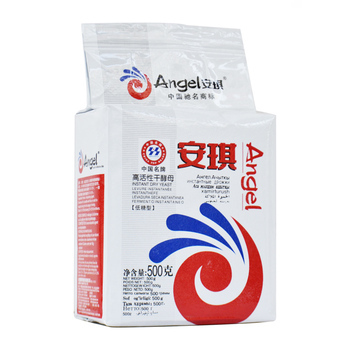 Longkou fensi (see above) produced by Shuangta Foods was also selected as a designated food for the Xiamen summit by the China Food and Drug Administration. Shinho Group also hit the headlines after becoming the official supplier of eight condiments including bean paste, soy sauce, vinegar and pepper to the summit. Yantai and the Norwegian port city of Stavanger are on their way to establishing official friendship ties. Zhang Dailing, vice mayor of Yantai extended a warm welcome to a Norwegian delegation headed by John Peter Hernes, vice mayor of Stavanger, on Oct 19, 2017. The purpose of the delegation is to strengthen cooperation on marine fishery and heavy industrial equipment between the two cities and sign a letter of intent to become sister cities.